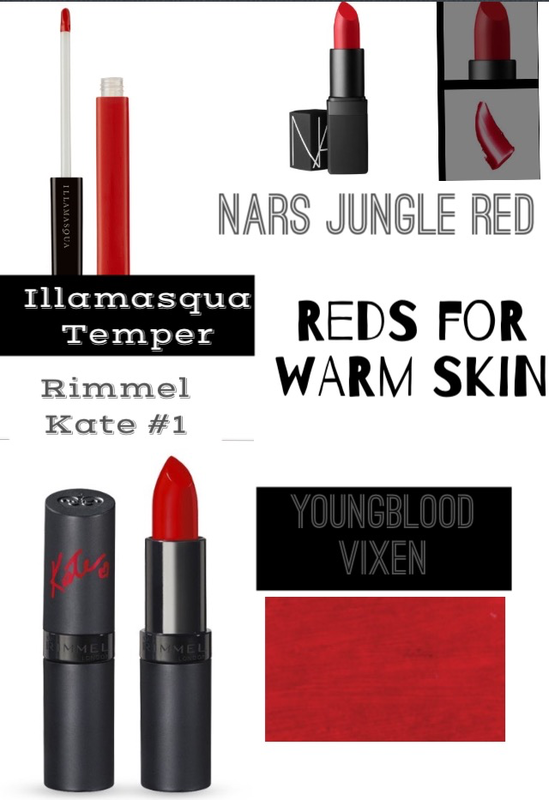 Valentine’s Day is almost here, love is sort of in the air and I’m already reaching for my fave red lipstick. Last year, I shared my favourite pinks with you guys. With the season that’s in it, here is my guide to buying reds. 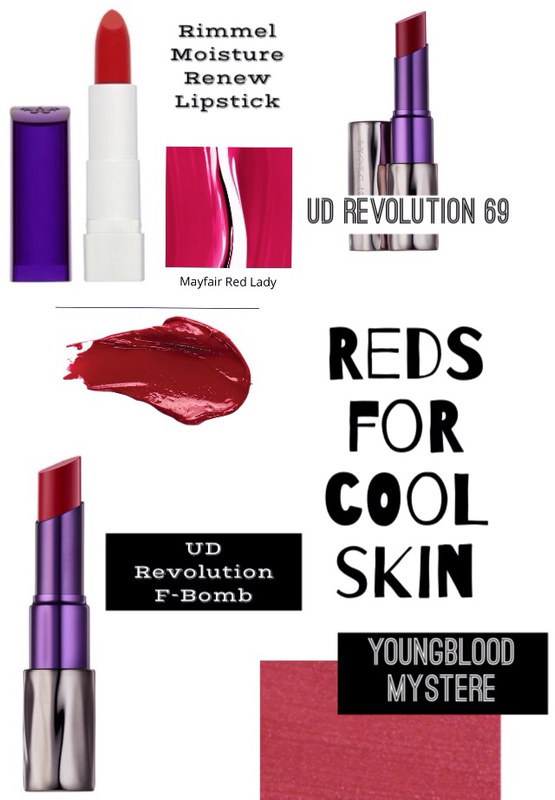 When choosing the perfect red lippy, it is important to pay attention to your colouring and your skin tone. If your skin has a yellow undertone, it is described as being warm. If you have a pink undertone, your skin tone is probably cooler. Different tones of red compliment different skin tones. For instance, orangey reds are nicer on warmer skin tones and blue tinged reds are great on cooler skin. The blue tinge also makes teeth appear instantly whiter. Neutral skin tones, with both yellow and pink undertones, can work most shades of red. A pinkish red is a safe bet though and very wearable. Also, a red gloss is a great option for smaller lips, as it plumps them instantly. (Rimmel London are cruelty free, but Rimmel do sell in China. Under EU legislation all cosmetics sold in Europe must be cruelty free. All other brands mentioned are vegan). Hope this is a help for all you ladies in red. Which are your fave red lippies?